JT and Sauza 901 hosted a little nine-hole golf tourney and tequila tasting at Lakeside Golf Club in Los Angeles, CA, this past Saturday, June 6th. 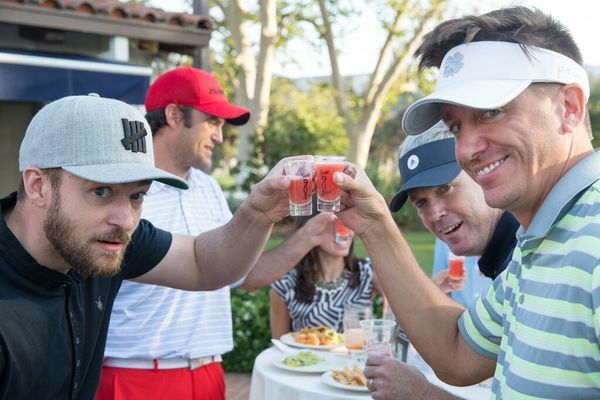 Golf + Tequila... what's not to love?! Better yet, Sauza 901 was kind enough to share one of the recipes from the day - the Zarza. It's delectable and perfect for summer. Some key shots from the tourney below! Can you ship that product in UK ? I'm dying to taste this tequila! So happy to see him so happy! He deserves nothing but the best! Congrats on the Sauza901 promotion and the golf tournament coming up! ???? You JT! im so happy to see his smile!! he having a good time over there!! Wow, awesome! Glad Justin is having fun with friends! Looks like a great time with some 901!! The Sarza looks so good. It's great to see Justin looking so happy.